Please note the programs discussed in this article exclusively apply to U.S. military servicemembers. Defense Activity for Non-Traditional Education Support (DANTES): This Department of Defense program that supports service members in all five military branches as they pursue higher education opportunities. • Interested parties should contact the TTT office in their state of residence for more information. Transferability: Credits are easily transferred between SOC schools to help students avoid enrolling in duplicate courses. Accept “ACE recommended credit” for basic training, advanced individual training, one station unit training, structured self-development, and warrior leader courses. He or she must be a high school graduate (no GED or other equivalency is accepted) with an AFQT score of 50 or higher. The individual must be between 17 and 35 years old. He or she must enroll in the MGIB Program and agree to pay the $1,200 pay reduction. Army College Fund: In order to receive educational benefits through the ACF, recruits were historically required to enroll in the MGIB at the time of enlistment. However, this program has been suspended since October 2011; it may be reinstated in the future. All courses must be offered at colleges and universities that are registered with GoArmyEd and have received accreditation from an organization that is recognized by the U.S. Department of Education. 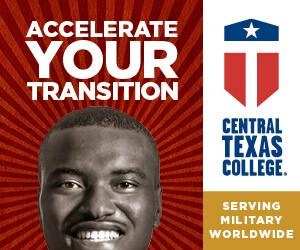 Request tuition assistance (TA) through GoArmyEd before the course’s start date or the institution’s late registration period. Assistance must be individually requested for each course and renewal is not automatic. If the soldier wants to enroll in a school that does not partner with GoArmyEd, he or she must submit a “TA Request Authorization” form. This document will be sent to an Army Education Counselor for review and approval (this process may take several more weeks). If the TA Request Authorization is approved, the soldier will be notified by email and then asked to print the approved request in GoArmyEd, submit it to his or her higher learning institution, and enroll directly with the school. Soldiers who do not successfully complete a course will be required to repay the money they have received. The exception to this rule is any soldier who cannot complete his or her course(s) due to military reasons; these individuals must request a “Withdrawal for Military Reasons” through GoArmyEd in order to incur avoid incurring charges. TA is capped at $250 per semester hour, or $4,500 for the fiscal year. The Army will pay all tuition until this ceiling has been reached. Total TA is limited to 130 semester hours of undergraduate credit and 39 hours of graduate-level credit; TA will end once the student has obtained a degree. GI Bill: Originally named the Serviceman’s Readjustment Act, this bill was passed in 1944 to provide financial assistance and support to war veterans who return to the U.S. and want to receive a higher education. The Yellow Ribbon Program is in place to provide some support for military personnel who wish to attend private schools, out-of-state schools, or other, more expensive academic programs. Recipients must fall into one of five categories related to the duration of their military service and service salary. The “$600 Buy-up Program” allows military personnel to contribute an additional $600 to the GI Bill in exchange for up to $5,400 additional education-related benefits; this contribution must be made while the individual is on active duty. He or she has at least a six-year commitment to the Selected Reserve that was signed after June 30, 1985; officers must have agreed to serve an additional six years. In some cases, a six-year commitment that began since September 30, 1990, is required. The individual must complete his or her initial active duty for training (IADT) after receiving a high school diploma or equivalency certificate. He or she must remain in good standing while serving in an active Selected Reserve unit; MGIB – SR is also open to individuals who were discharged from Selected Reserve service due to a disability unrelated to misconduct. 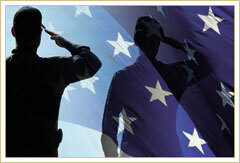 The eligibility period may be extended for those who are ordered to active duty. Reserve Educational Assistance Program (REAP): This program provides financial assistance for reservists of all military branches who have been “called or ordered to active duty in response to a war or national emergency (contingency operation) as declared by the President or Congress.” The $600 Buy-up Program is available for Selected Reserve, Individual Ready Reserve, or Inactive National Guard personnel who wish to participate in REAP. A servicemember who has been hospitalized or is receiving outpatient treatment for a service-related disability and will probably receive a discharge resulting from the disability. Sons or daughters of veterans must be between the ages of 18 and 26 to receive benefits; the eligibility period for a spouse is up to 10 years after the VA has determined he or she is entitled to the benefits, or up to 20 years after the servicemember is killed in the line of duty. After completing his or her initial entry training, the individual must actively serve in a “military occupational specialty” that has been predetermined by the Secretary of Defense for a period of no less than 15 months. Following the conclusion of the specialty service, the individual must serve an additional period of active duty, or a period of 24 months in an active status in the Selected Reserve. The following scholarships are available to men and women who have served and/or are currently serving in the U.S. Armed Forces. Scholarships are also available through the ROTC for military chaplains and health professionals. Army Staff Sgt. Special Agent Richard S. Eaton Jr., Scholarship: Named after a U.S. Army Counterintelligence Special Agent who was killed in Iraq in 2003 and posthumously received the Bronze Star, this scholarship awards $1,000 to applicants who are planning to pursue a degree in one of the following academic fields. Completed applications must be sumbitted by Jan. 31, 2014. American Patriot Scholarship: This scholarship is open to students who are 24 years or younger, and have at least one parent who served as active duty or reserve military personnel, in the U.S. National Guard, and was either killed in the line of duty or received a permanent disability as a result of their service. Military cadets are ineligible for this award. The scholarship awards a one-time sum of $2,500 to applicants who are selected; the deadline to submit applications is March 1. Is a veteran U.S. Navy Corpsman who has served with a U.S. Marine unit and has received an honorable discharge, medical discharge, was wounded, or was killed while serving with the U.S. Navy. Plans to attend an accredited undergraduate program in the upcoming academic year and pursue his or her first bachelor’s degree or technical certificate. Students attending Federal Service Academies and graduate students are not eligible. The applicant’s family adjusted gross income for the 2012 tax year may not exceed $91,000. (This does not include non-taxable allowances). All applications must be received by March 1 prior to the academic year for which the applicant wishes to receive financial assistance. Navy/Marine Corps Relief Society Education Assistance: This organization provides three options for current or former U.S. Navy or Marine Corps personnel and their spouses and children who wish to obtain an academic degree at an accredited, post-secondary institution. Applications are due every year on Nov. 1. 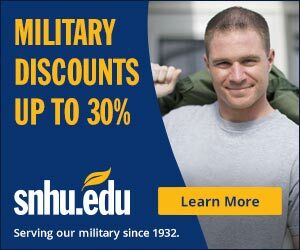 Dependents (spouses and children) of active or retired service members who enroll full-time as undergraduates may apply for student loans or scholarships that range from $500 and $2,500, depending on financial need. The loans are interest-free, and must be paid back within 24 months of their provision. Scholarships are only available to dependents of active duty or retired Navy or Marine personnel who are deceased. Active Navy and Marine Corps personnel who are accepted into the Marine Enlisted Commissioning Education Program (MECEP) or the Medical Enlisted Commissioning Program (MECP) may apply for loans that range from $500 to $3,000 per school year, depending on financial need. The loans are interest-free, and must be repaid within four years of the individual receiving a military commission. Wounded Navy and Marine Corps veterans who saw combat in Operation Enduring Freedom, Operation Iraqi Freedom, Operation New Dawn, or were injured in operational mishaps, major training exercises, or operational deployments, may apply for a $3,000 scholarship if they plan to earn a degree in the field of education. This scholarship is also available to the wounded service member’s spouse if he or she plans to earn a degree in education or a medical-related field. The Kelley Scholarship is reserved for female students who are concentrating on a technical field, such as computer science, business management, or finance. The Ellerman Scholarship is awarded to female recipients in any academic field. In either case, applicants must show a cumulative GPA of at least 3.25, demonstrate financial need, and have served in one of the five main military branches, National Guard, or Merchant Marines. Additionally, applicants must register with the Women’s Memorial Foundation. All applications must be received by Dec. 15. Enrollment in or acceptance into a full- or part-time undergraduate or professional certification program at an accredited higher learning institution. If part-time, the applicant must record at least 24 credit hours annually, or 12 per semester.